I have often had people ask me why my cows are so skinny. Online I have seen people make claims that dairy cows are skinny because dairy farmers are milking them all the time and causing their bodies to burn out. Of course I have a different take on this information. Let’s take a look at some reasons why dairy cows are skinny. Dairy cows are not beef cows. While a cow is a cow in the end, the traits we have bred dairy cows for versus what we want from beef cows are different. Just like a Labrador doesn’t look like a Greyhound, a dairy cow doesn’t look like a beef cow. 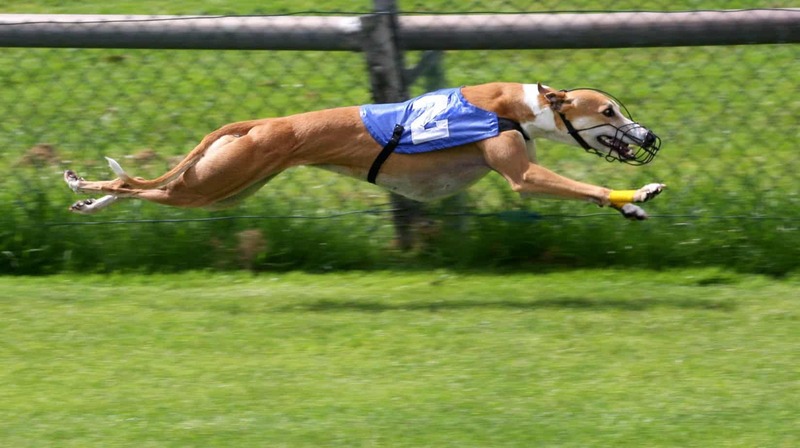 You won’t see a Labrador winning any races and your pet Greyhound isn’t equipped to handle freezing water. A beef cow does give milk but not the amounts that a dairy cow produces. A dairy breed won’t convert feed into muscle as quickly as a beef breed. An overly skinny cow, beef or dairy is a sign of a big problem. A dairy cow carrying too much fat will also cause a lot of health problems. Different breeds have different qualities and that plays a major role in why a cow looks skinny. Dairy cows put their calories into the milk they make not fat stores. Dairy cows on our farm eat a lot of feed each day but instead of converting the feed into muscle and fat like a beef steer would, a dairy cow pours the calories into milk making. When a woman breastfeeds her caloric intake needs to be higher than it would be normally, this is because her body is using it’s calories to make milk. Hair styling. 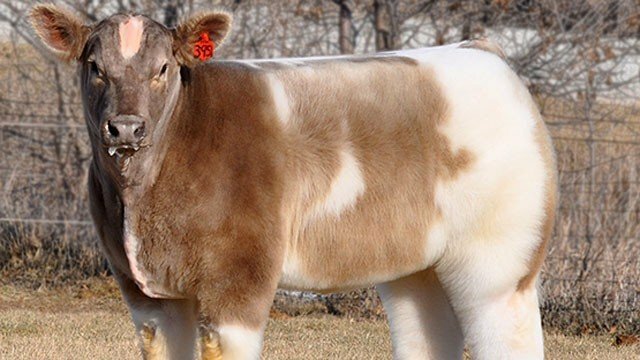 The whole internet is abuzz talking about the “Fluffy Cow” craze. A fluffy cow is a beef breed that has been bred to have lots of hair. When these animals are shown they have hours and hours of time spent on them grooming their coats to be super fluffy. Fluffy hair makes them look much larger than they really are. When we show dairy cattle we do the opposite. A dairy cow is shown with the cow equivalent to a buzz cut, called body clipping. For showing a dairy cow we want the judge to see her angles and her body, extra hair would cover that up so before a dairy cow is shown she gets a full body hair cut. Beef or dairy, these show cows have hours of attention poured on them before they show to make sure that they are looking their absolute best in the ring. This is a beef cow with it’s hair fluffed. AKA a “Fluffy Cow”. Without the hair, this cow would look much smaller. So in the end when we look at why a cow looks skinny it’s important to understand the difference between what a dairy cow has been bred for and what a beef cow has been bred for. Both beef and dairy farmers use a tool called body condition scoring (BCS) to determine if their cows are the appropriate weight. Good information about using BCS to determine a cow’s level of health can be found here for dairy and here for beef. « Margarita Slush Recipe or Homemade Beeraritas! 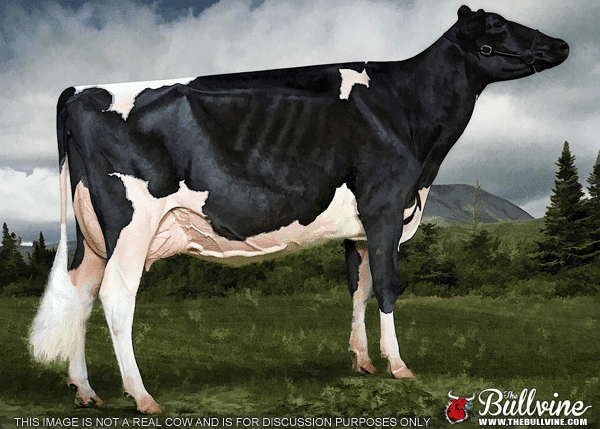 32 Comments on Why are dairy cows skinny? Excellent topic! When I take teachers on tours of dairy farms, they often have this question. Thank you for addressing it. Great answer to a question I have been asked, I think maybe about a million times, at shows and fairs! Great explanation! This is true in our dairy goat world too. I have been asked that question so many times and never thought about the breed of dog comparison. I will borrow this for the fairs coming up! Thank you! As always Carrie – an excellent explanation. Kudos! I had the same trouble with someone calling on me with an old horse. When animal control came they had no idea. Showed all the food we had for the horses. And that the horse that I was called on was 30 plus in age. Had to teach them what an older horse can look like. Thanks for this article! There are people arguing on Craigslist right now about the condition of some dairy cows for sale. Some say they are “emaciated,” and the owners should be charged with neglect, others say they are just fine, with nice full udders. It looks like they are actually nice healthy dairy cows! 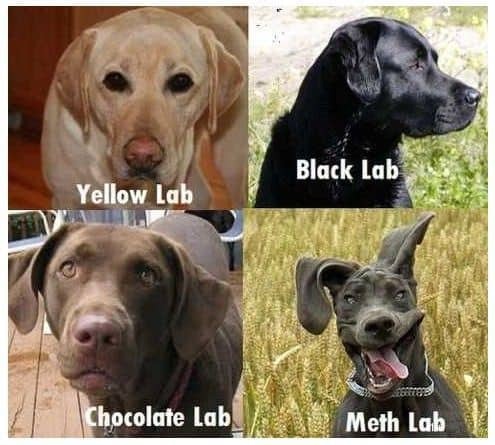 I like the comparison of labs to greyhounds. That is very helpful. I had the sheriff’s office called on me last summer because someone driving by thought my Jersey was too skinny. The officer that the caller talked to was someone I went to high school with, and also knows a little about cows. He told the caller that my animals are well taken care of, and that she is thin because she is a dairy cow. While I am very glad that whoever called actually talked to someone who knew something- I was also glad that someone who had a concern actually called the authorities, instead of ignoring it or making an ‘under-cover video’. However…. If one has a Holstein cow who is nursing her own calf, she has a much smaller, much more manageable udder, and much more weight (if fed side by side with a cow on the milk line). The analogy of breastfeeding women is not correct. Yes, a nursing mother of any species will need more calories to produce the milk for her offspring. But to use a breastfeeding woman as an equitable example would need to see her pumping (not nursing) only twice, maybe 3 times per day and keeping up with the needs of 4 and a half babies, without supplementation. Under those circumstances, her breasts will become exceedingly painful and large, and yes, she will lose a lot of weight because she simply could not eat enough calories to maintain that much lactation. If you google, Holstein cow with calf, you’ll see many images of healthy-weight Holsteins. A Holstein cow nursing her own calf and with moderate quality feed will produce more milk than one calf can drink. This leads to mastitis and other problems. They have been bred for milk production. Maybe rather than getting all of your information from google you should talk to farmers instead? Although from the tone of your comment I suspect that you’re not interested in learning because you’ve made up your mind. My apologies if I had a “tone”. It was not my intent. And I’m not sure why you think that I don’t want to learn and haven’t spoken with farmers. I thought I was simply bringing up another possibility. That’s what debate is all about– finding out good reasons on both sides. If you have a better argument– I’m more than happy to hear it! I hope I’ve never made up my mind until I have heard all sides of an issue and then have taken the time to carefully weigh the arguments. Even then, if someone has facts or suggestions I haven’t heard of or considered before– please, I’m happy to hear them! 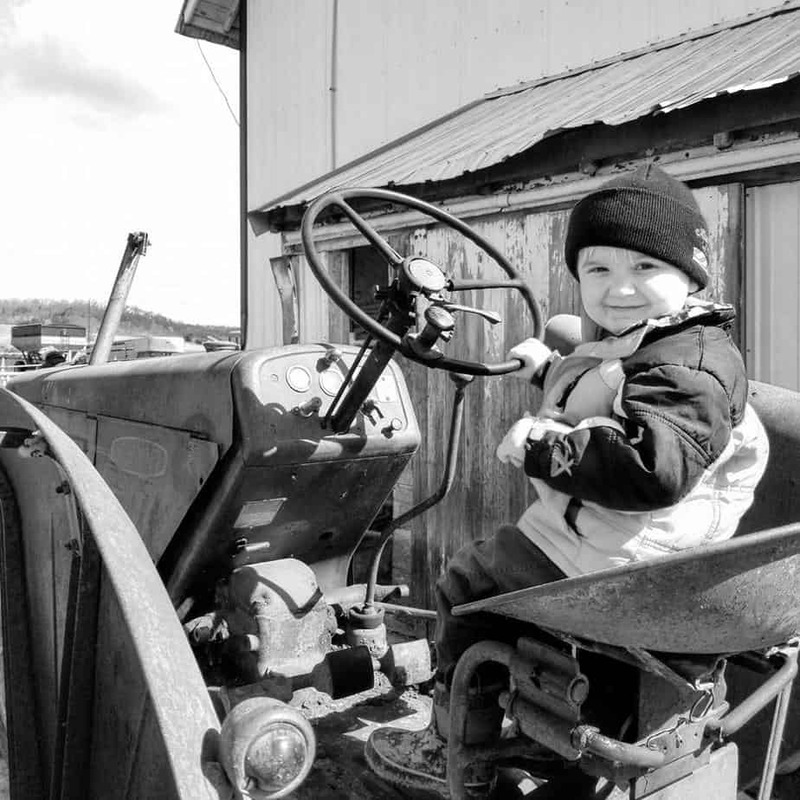 I have been around many farms and farmers in my lifetime– and lived next door to and was friends with one for many years. I’ve raised orphaned calves as well. Yes, milking breeds have been bred for milk production. What I’m saying is that the milk production (in large quantities– not for one or even two calves) is what causes the weight to all go away from their ribs and spine and into their udders for this production. 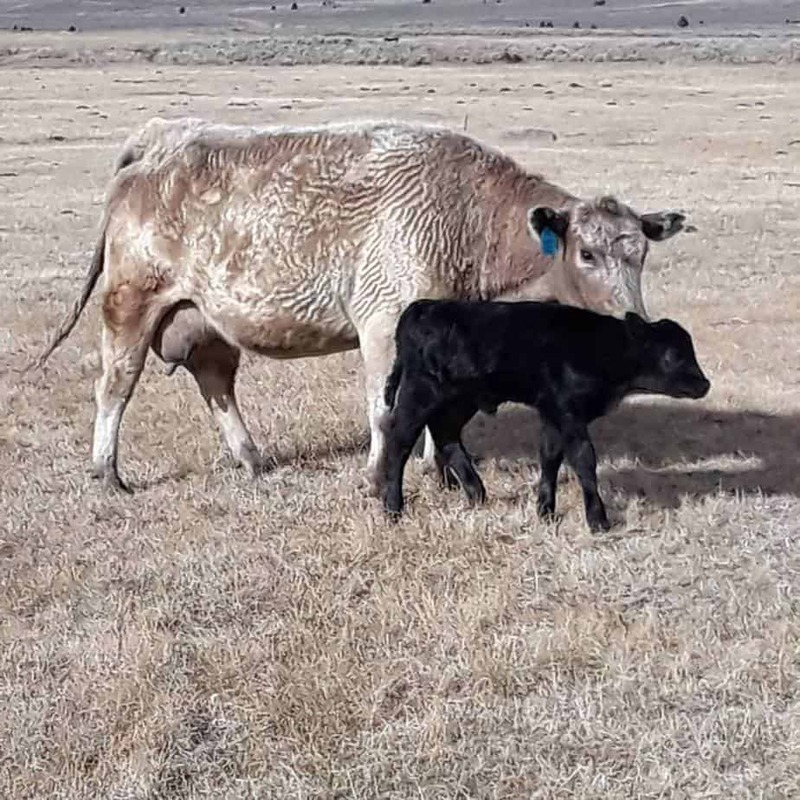 I suspect that if you took a Hereford cow and put her on the milk line (yes, I’m aware that she wouldn’t produce as much as a dairy breed), she will produce much more milk than her calf could handle. It’s the same as women who pump extra to donate to a milk bank. I know that mastitis is a huge problem on the milk line, but I’ve never heard of a dairy cow who is nursing her own calf (and not being machine milked on the side), producing more milk than her calf is capable of taking. Mammary glands are incredible things– they produce just what the baby needs. Not to say it’s never happened– but from the people I know who’ve allowed dairy cows to raise their own calves– they had no problems. You’ve accused me of not wanting to learn– do you not believe that this is something to even consider? And, by the way, google (which in this case I used only for a photo to show a healthy-weight, nursing Holstein) is used by many people, from professionals on down, for researching. Of course one does not believe everything automatically– but that’s true for all areas of life. I apologize. To me, your original comment read as someone who was against dairy farming. I have a lot of people comment here who want nothing more than to see me out of business. When I read your comment I believed that it came from someone who was anti dairy. This post is meant to show the difference in body build between beef and dairy breeds. A dairy heifer, before she ever milks will not carry weight the same as a beef heifer. If you milked the Herford and she produced double what she normally would, she wouldn’t look like a Holstein. Milking alone is not what makes a dairy cow look thinner than a beef cow. On our farm we have some crossbred cows that have a dual purpose breed, like Normande in them. They aren’t as thin as our Holsteins despite the fact that they milk very well. A Holstein heifer on our farm that has never produced milk in her life gives 40-60lbs of milk on the second day of her lactation. A single newborn calf couldn’t eat half of that. Eventually a cow would decrease production, if in the mean time she didn’t end up with mastitis from not being milked out completely. Dairy cows produce, on average, 6-7 gallons a day (around 55 pounds of milk). I don’t know a calf that can drink that much, considering a birth weight should be around 85 pounds! A calf allowed to drink as much milk as it desires will consume a little over 20 pounds a day. Additonally, although this breed of cow looks “skinny”, nutritionists will highly monitor body condition score for the breed, as she will produce the maximum amount of milk, be the healthiest, etc., when she is at an optimal condition. I learned the hard way myself that I become extremely ill when I don’t consume enough food to keep up with weight loss and stress during calving time! Glad you are participating in these discussions! Oh, Yay to find your site! I arrived here after Googling (yup) “is a bony cow healthy?” because I had just seen a picture of a dairy cow at a show and bless it’s heart it looked emaciated (with chubby udders I noticed). I assumed it was okay or it wouldn’t be at a show, lol, but I HAD to find out more information for my curiosity. I’m *cough* 56 years old and it’s the first time I’d noticed how bony dairy cows are. Not that I’ve seen many…most likely only on a dairy farm tour decades ago and they were all hooked up to machines. Your comparison of dogs was a perfect picture for we-who-are-unfamiliar with differences in cows. It’s still pretty scary looking to those of us used to seeing full-bodied bovines 😀 I’m one of those people who has called to report a possible starving or abused animal, so it’s a good thing I didn’t see a skinny cow in real life. (sidetracked and off topic, I love Skinny Cow ice cream sandwiches). So, seeing the ribs is normal? I’ve grown up in both country and small farming town areas (I’m in Medford WI actually!) and see many dairy and beef cows when driving around. I figured seeing the hip bones is normal, but seeing the ribs is all right and healthy as well? 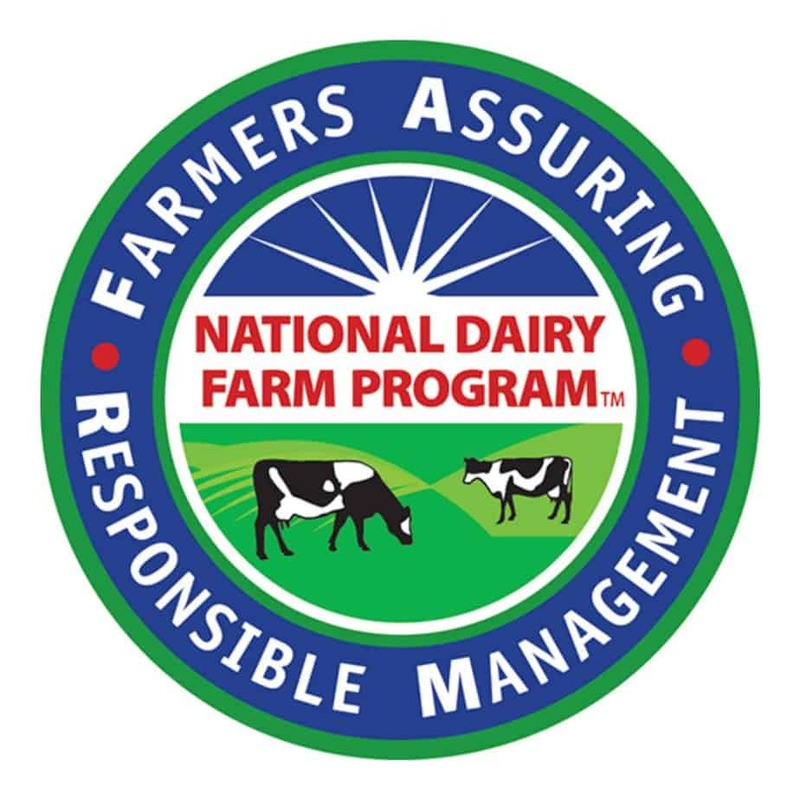 I follow you on facebook and have learned more about dairy farming and what is appropriate and what isn’t appropriate than what I learned when taking animal husbandry class in school! I thank you for opening the eyes to those who never really understood dairy farming and cows, like myself. Oh, thank you! Very helpful. If a dairy cow is producing milk, you should see all her ribs. Cows can be too skinny, but a healthy dairy cow in full production will not be carrying much body fat. Think of people who run 10 k and marathon races. They look pretty skinny, but are healthy. Absolutely love your comparison of greyhounds to dairy cows. I saw this awhile back but decided to share your link on my facebook and twitter today. Great work! Thank you for being a positive advocate for the dairy industry. Thank you for your articles. I grew up on a beef farm and my husband and I are now dairy farmers. I always think the dairy cows look like they’re starving but of course they’re not. Just this summer, and uneducated “do-gooder” called the sheriff claiming our heifers were starving to death. My husband, infuriated, met with the sheriff out at the pasture and of course found the heifers, quite happy, standing knee-deep in fresh pasture and also receiving supplemental grain and minerals. The “complainant” admitted he thought they should look like the stereotypical beef animal. How frustrating! I remember going to agricultureschool, working with fatscoring the the dairy cows, the ones to skinny were given extra food to stay healthy, and living in an area with most of the neighbours running dairy farms, I have to admit I haven’t even thought about the dairy cows to be skinny. Nice post and info! One thing that also comes to mind is that in America we have a warped idea of what a “healthy” animal looks like. 75℅+ of the dogs and cats that come into our clinic are overweight, and of these probably half are obese. Even on dogs, in short haired breeds not being able to see the last rib means your dog is overweight. It takes a lot of work for people to understand that. So for them making the jump to dairy cows where it’s normal to see multiple ribs is hard, because they don’t comprehend the vast majority of the “healthy” animals they are are too fat. 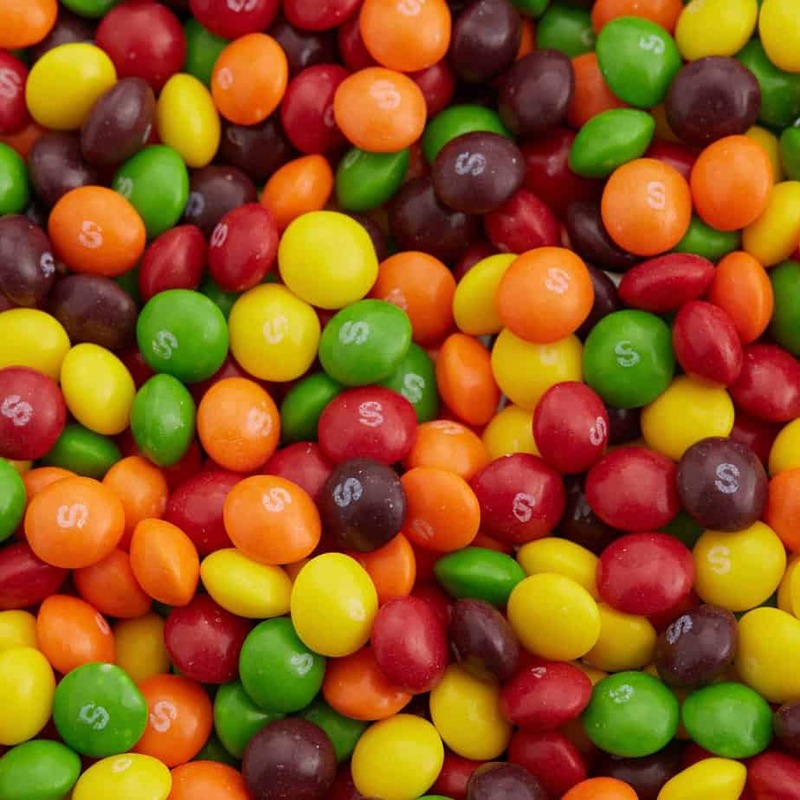 Let’s talk calories. Folks generally understand calories. 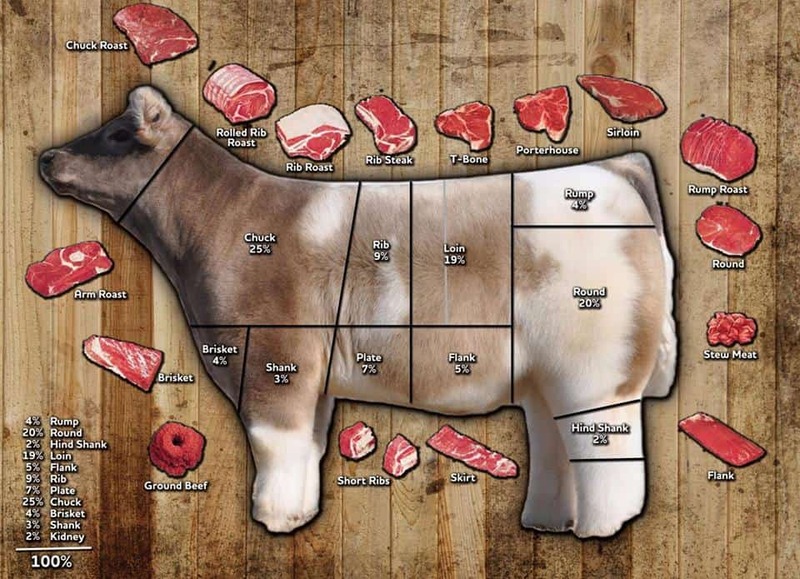 Beef cows are selected to produce nice juicy cuts of beef that are juicy because of marbling. Marbling is fat interspersed among their muscle fibers. Those nice patterns of fat take a lot of energy — about 2.5 times as much energy per ounce of marbling as for a an ounce of lean. Milk cows (dairy cows) are focused on producing milk. They don’t need to have a lot of fat in their muscles to produce milk efficiently and be healthy. In fact, if dairy cows are too fat, they mobilize that fat to produce milk and that is unhealthy. So staying trim and healthy is what makes dairy cows productive and attractive.